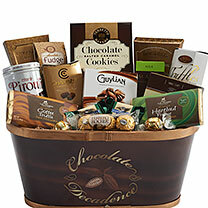 Godiva has been the premier maker of Belgian chocolate for almost 100 years. Their recipe may be a closely held secret, but their world-renowned chocolates are anything but! 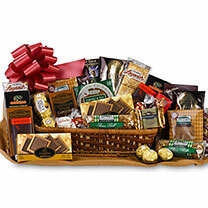 This decadent basket will make any chocolate lover happy. 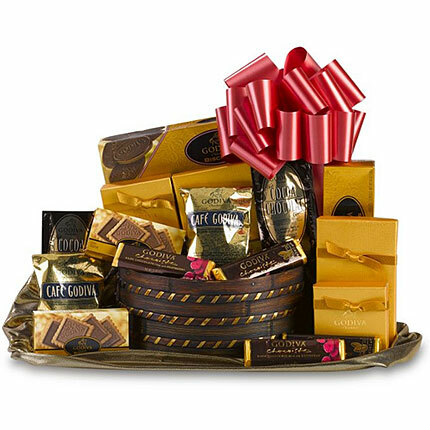 It is a veritable showcase of some of Godiva's greatest goodies including milk chocolate, truffles, biscuits and more.